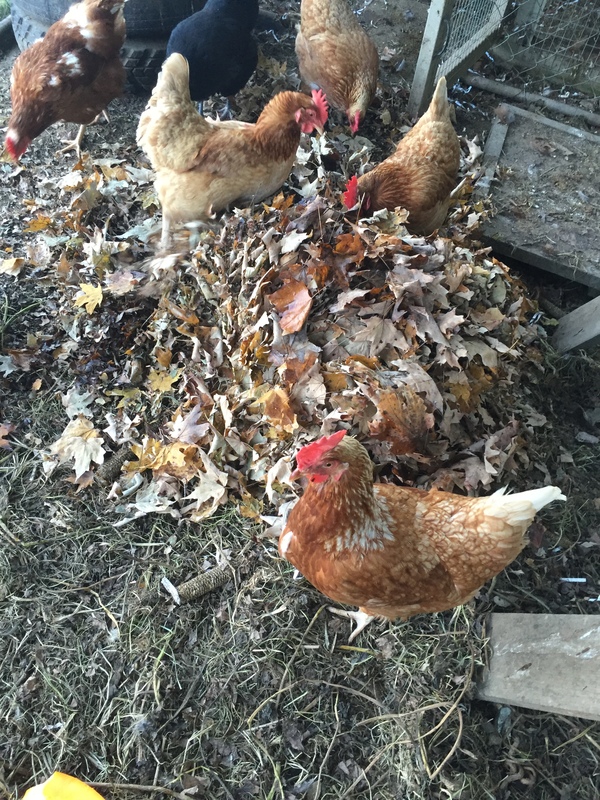 This evening I cleared out the remainder of the garden and pulled up everything around the chicken coop. I really wish summer could stay forever! 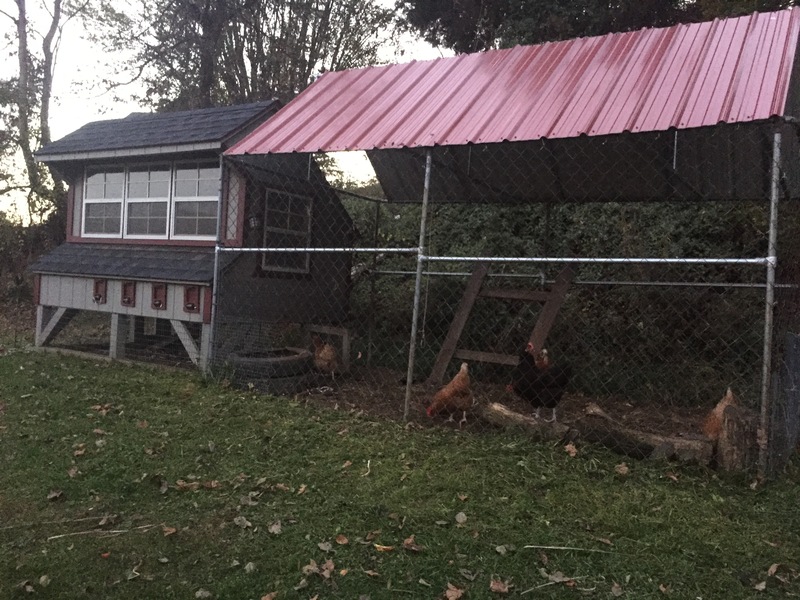 The summer coop I’m missing! 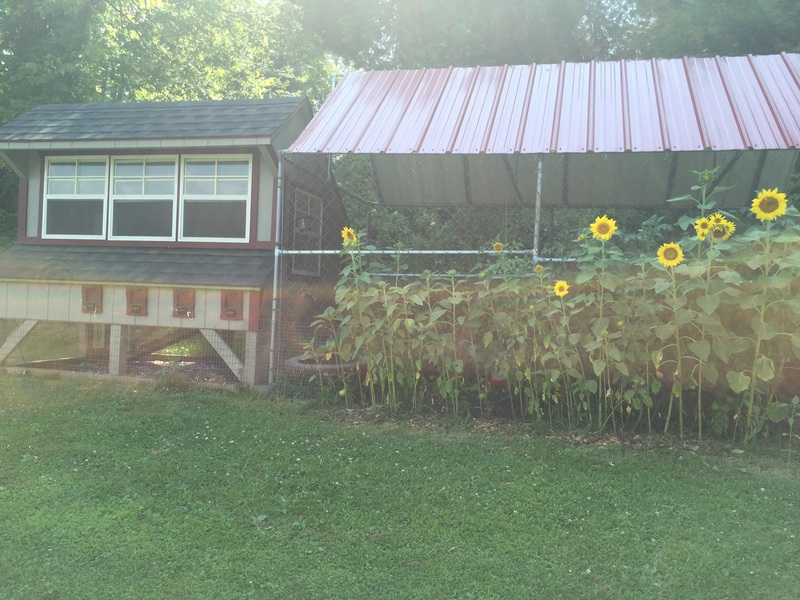 Now the girls will be eating the seeds from those sunflowers! 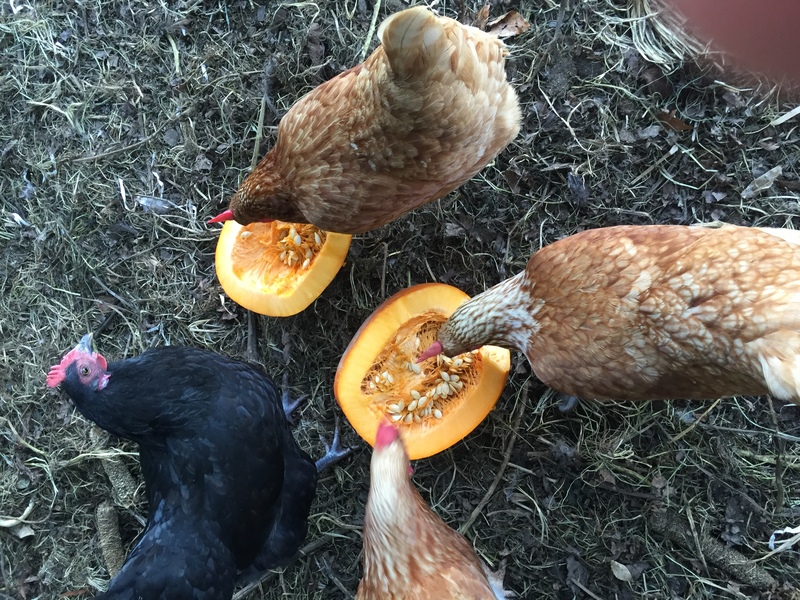 And to stick with the fall theme, the chickens are enjoying some yummy pumpkin! They also got some new leaves added to their run. They love the leaves! 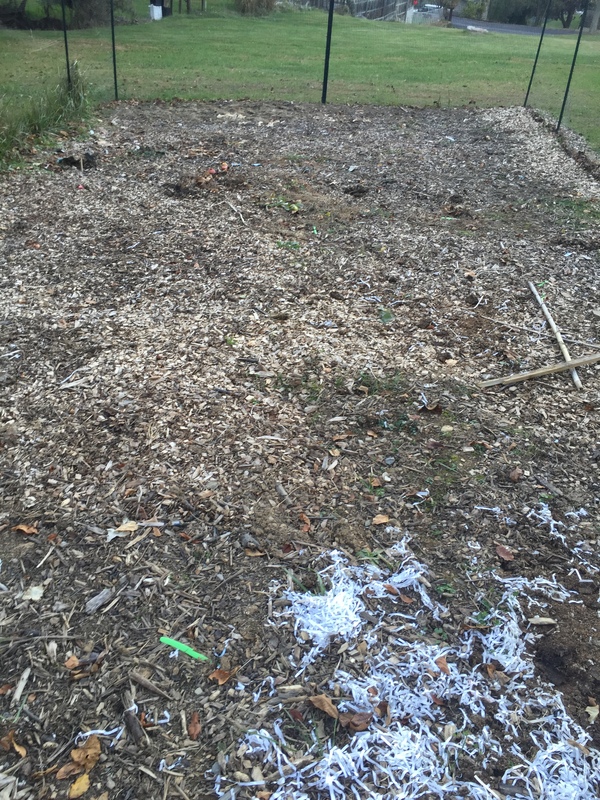 Since it has frosted, the rest of the garden is gone! So sorry to see everything gone! But, we are lucky to have so much put up for the winter! They surely are! But they won’t be happy when everything starts freezing!